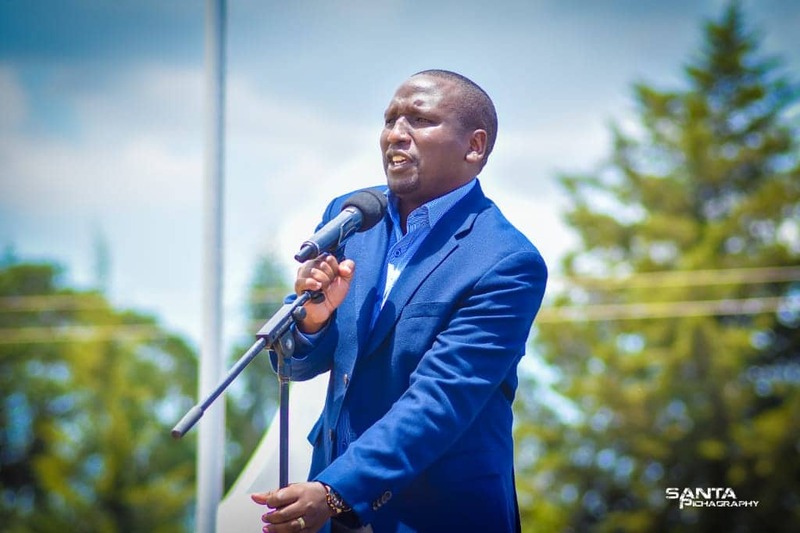 Kericho Senator Aaron Cheruiyot has reiterated claims the selective war on corruption is being used by some individuals to fight perceived political enemies. Speaking to NTV on the morning of Tuesday, April 2, Cheruiyot said the manner in which the graft agencies swiftly arrested Samburu Governor Moses Lenolkulal was suspect considering the same bodies were yet to nab other corrupt leaders. Aaron Cheruiyot in past public event. He has claimed ODPP is being used to fight political enemies. Photo: Aaron Cheruiyot/Facebook. In his argument, the Jubilee politician singled out Siaya Governor Cornel Rasanga whose prosecution and arrest was approved by Office of the Directorate of Public Prosecution (ODPP) in September 2018. "Let them ask DPP. The file of Siaya Governor Rasanga arrived there years earlier than this one for Samburu governor. This one arrived two months ago, he has concluded and is now charging that particular person. Who is this that is interfering with DPP that he has no courage to charge Rasanga yet it is known fact summons were issued for him to be arrested," he posed. Rasanga's name prominently featured in graft report over irregular tender award to construct a pre-fabricated building valued at KSh 22.5 million at the county headquarters. He is also accused of spending taxpayers' money on air tickets for family and friends in the last three financial years. Despite this, the ODM politician is still roaming freely and there has no been word from the Director of Public Prosecution Noordin Haji even after the county chief flew back from Canada. In his own revelation in a campaign rally for the now Migori Senator Ochillo Ayacko, Siaya county boss divulged too much truth much to the chagrin of Jubilee politicians. "When I was in Canada on an errand for Raila, I received news that I was to be arrested at the airport, after calling Baba (Raila), things were cleared and I majestically passed through the airport," he said, sending the audience in a wild frenzy. It is because of Rasanga's remarks that the youthful Kericho politician suspects Jubilee unity deal between President Uhuru Kenyatta and ODM leader Raila Odinga is shielding him.